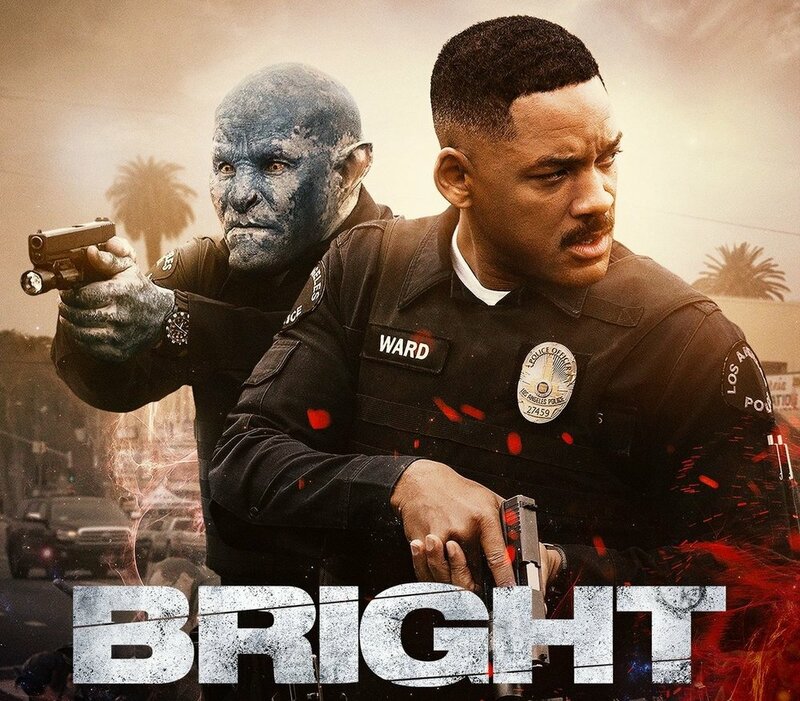 Set in an alternate present-day where humans, orcs, elves and fairies have coexisted from the beginning of time...In Los Angeles, veteran LAPD police officer Daryl Ward (Will Smith) has been involuntarily partnered with Nick Jakoby, the city's first Orc police officer (Joel Edgerton). They respond to a call which leads them to find a mythical weapon that everyone is trying to kill for. The movie is getting a lot of bad critical reviews due to what is said to be heavy handed use of racial issues. The movie had a lot of good points for being Netflix first big budget film with a budget of 98 million. Some critics have hailed it as the worst movie of 2017, but the Netflix viewers have proved them wrong with over 11 million views in the first 3 nights alone. The reason, I think that Bright is getting such a bad wrap is because it makes you uncomfortable. It takes the race issue and puts it all too much in the forefront of your mind the racial divide between orcs, humans, and elves is so big and apparent there is no escaping it how ever much you want to. They take a harsh parallel with today's race issues and the interactions between minorities and law enforcement and shine a new light on it by not pointing the target of racial disgust at whites, blacks, or Hispanics but at a mythical race that everyone views as monsters. The treatment and response to said treatment closely follows actual events we are plagued with in today's society. Overall the use of the racial issue made it more relatable and painted a very convincing picture of why not to judge a book by its cover. The relationship between the two main characters is trying at most times but has a satisfying binding arc that is both believable and touching, while still holding a dark sardonic buddy cop feel. The movie goes places no other type of this genre does and targets morals like duty, honor, integrity, family, and justice. I would personally counter the critics. The movie was great and had everything you expect out of a Will Smith movie.